We handle the ‘total package’ for lots of campaigns, which includes the website, brochures, flyers, postcards, signage, PowerPoint template and presentations, name badges, web banners/ads and any element that needs to be designed to assure a consistent visual theme. 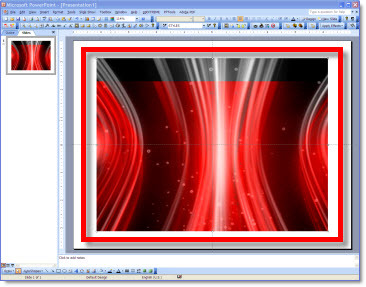 But each of these projects begins with developing the theme graphic. For this specific project I was given the general thought of the program (the official title was still be determined). This was a medical speaking series on the topic of “evaluating the traditional/accepted/old therapies and looking toward the future and integrating new therapies into the standard protocols”. 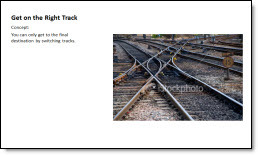 My first step was doing keyword searches in a number of online photo sites to come up with visual ideas. From there I merged my notes down to a series of concepts – simple 1-2 sentence descriptions. The goal is to provide the client with words and visuals to see which resonates with their vision for the program so the real design phase can begin with a direction. 1. 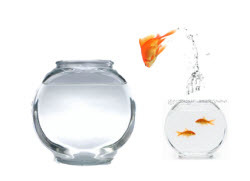 “From Little to Big” – switch from the accepted space to a new enviroment. 2. 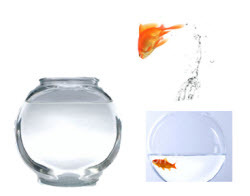 “From Empty to Full” – Move from half full to plentiful. 3. 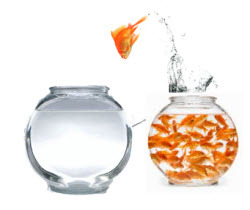 “From Status Quo to New” – move from the crowded/accepted to fresh space. 4. 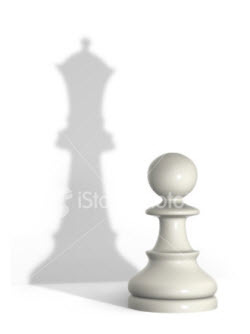 “See and Understand” – What is seen/accepted can transform into more. 5. 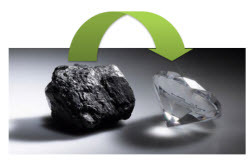 “Out of the Old” – From coal comes the true treasure, diamonds. 6. 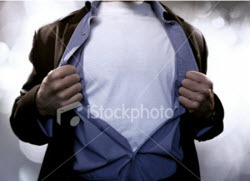 “Becoming Superman” – Regular guy Clark Kent needs to transform to be seen as a superhero. 7. “Advancing Technology” – Move from outdated to modern for faster, better, more efficient. From this simple storyboard of theme concepts evolved a full multicomponent design project that carried consistent visual message, color scheme and styling to all elements. Why Does My Add-in Not Install With 64-bit Office? – Attempt to install favorite PowerPoint add-ins and nothing works…. 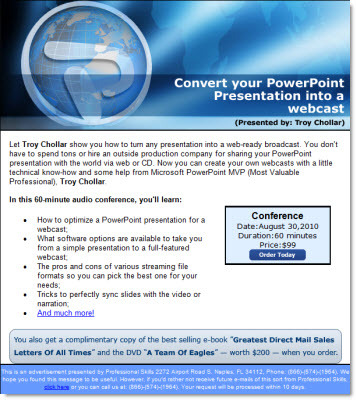 Add-ins need to be written/coded to work specifically with the 64-bit version of PowerPoint. At this moment there are very few add-ins that have 64-bit versions. So, if you are running the 64-bit version of PowerPoint, do not plan on using any add-ins. This of course will change over time as the add-in developers have opportunity to create 64-bit versions of the existing 32-bit versions (and I am waiting just like you for this to happen!). This question, or rather confusion, seems to be coming up quite a bit and I thought it would be good to clarify things. 1. Your computer operating system (Windows XP, Vista, Windows 7) can be either 32-bit or 64-bit. 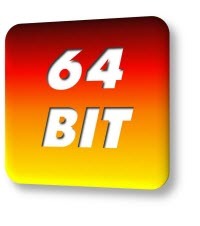 To be 64-bit the computer hardware/motherboard must support 64-bit processing. BUT you can have a 64-bit capable computer running a 32-bit operating system (OS). 2. Office 2010 is available in 32-bit and 64-bit versions. To install the 64-bit Office 2010, the computer must have a 64-bit operating system. AND the 32-bit Office 2010 can be installed on a 64-bit operating system. – Office 2000, XP and 2007 are only available in 32-bit versions. Basically, Office and the operating system are separate entities. 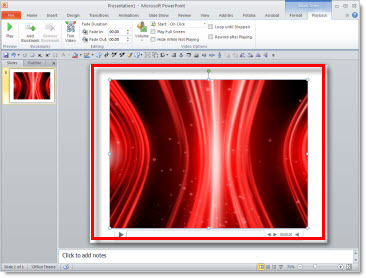 Just because it is a 64-bit computer, does not mean it must use a 64-bit version of PowerPoint. Great Callout from Story About Presentations! Oh, that is a GREAT callout! 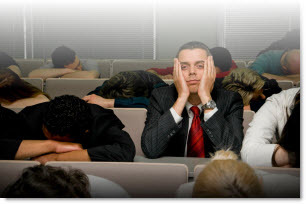 I found it in an August 16 article called “Making that next presentation requires preparation”. The story itself I found just okay. But the opening statistics and position that presentation design is important to virtually every career was especially good. Read the full article here. The funny thing is I received this email, probably like many of you. What caught my attention is that I am the instructor for the seminar, but it is not on my calendar… Oh, this is a “re-run” of a training I did awhile ago! I won’t be at this one in person, but it is good. Details here. Seriously, the title for this post says it all. Here is the original story from the Los Angeles Times. “Though the wedding was steeped in traditional elegance, there was nothing traditional about this couple’s courtship. After they’d dated for six years, (the Bride) asked for a timeline of their future. (The Groom) responded by presenting a full PowerPoint presentation outlining their next three to five years together. Six months later — true to the plan’s first benchmark — the two were engaged.” And they where married in July (I am assuming also outlined in the PowerPoint presentation timeline). 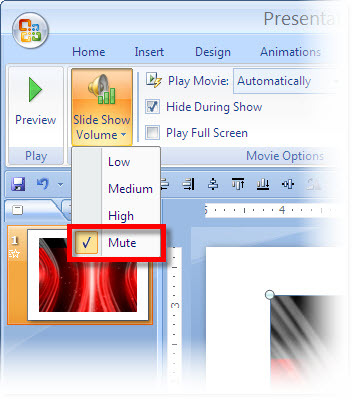 This recent article caught my attention and the author stays on track with solid advice about presenting AND using PowerPoint. You can read the full article at Bloomberg Businessweek here. 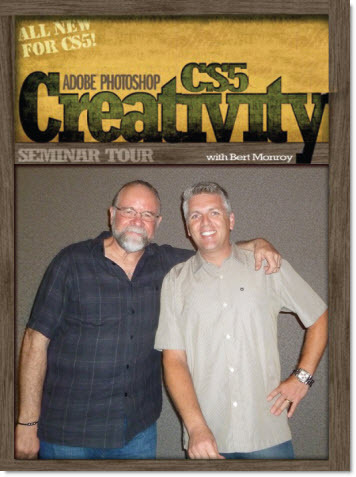 A few weeks ago back Kelby Training had a Photoshop CS5 seminar in San Diego. It was a good day and the instructor was Photoshop guru Bert Monroy – who was kind enough to let us take a photo together. 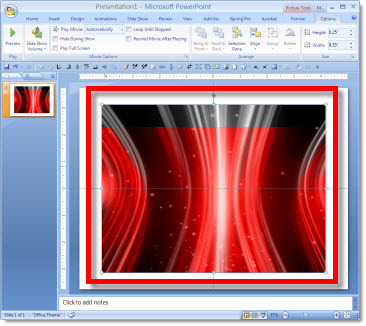 ToolsToo is a productivity add-in for PowerPoint 2007 and 2010. It is a collection of incredibly valuable tools used when designing slides. It adds a full tab full of 20+ tools that I first tested on a test computer and quickly installed on my main computer and have integrated it into my daily production. AND any tool can be added individually to the QAT! As example: make equal width, make equal height and make same size buttons have been added to my QAT. There is a free version offered called “ToolsToo Lite” that offeres a limited set of tools. The full tool set reviewed is $20 and is highly recommend. Sometimes a movie has sound, but you don’t want it. There are lots of reasons; video of a surgery and you don’t want the audience to hear ‘Uh-oh’ in the background, a screen capture video and the application sound FX are distracting, or any number of other reasons. 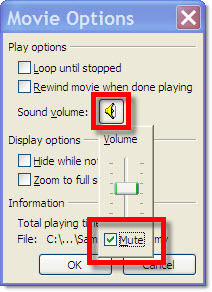 From within PPT you can set a movie to play muted.